The family of New Brunswick teen Ashley Smith have reached an out-of-court settlement in their $11-million lawsuit against the Correctional Service of Canada. The family of New Brunswick teen Ashley Smith have reached an out-of-court settlement in their $11-million wrongful death lawsuit against the Correctional Service of Canada. News of the confidential settlement came just as a trove of letters and internal prison documents were made public, revealing abuses by CSC guards, as well as a letter the teen wrote just before her death. 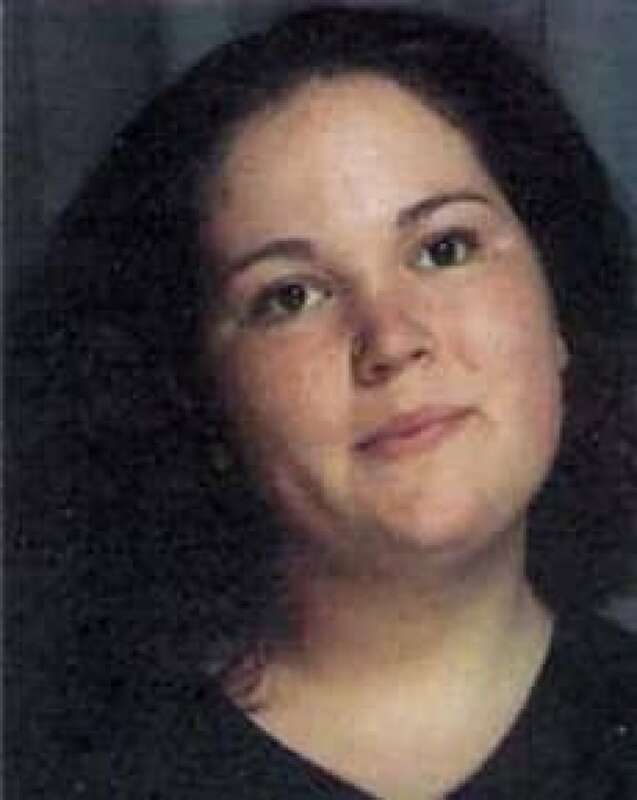 Smith, 19, died in her prison cell at Grand Valley Institution near Kitchener, Ont., in October 2007 from self-strangulation. She had been transferred between federal institutions 17 times during her final 11 months, most of that time kept in segregation and often on suicide watch dressed in a highly restrictive gown. "I miss you a lot. I think about our talks all the time. Every time I hear 'keep holding on' I think about you," Smith wrote on Aug. 8, 2007, as she tried to contact a nurse she had bonded with at the Regional Psychiatric Centre in Saskatchewan. "I’m doing better now. Today is my 8th day of being good. I finally got out of that stupid dress. I’m wearing a T shirt and shorts. My mom is coming to visit me on Friday. I’m really looking forward to our visit," Smith wrote in a letter contained in materials given to an Ontario court. The letter was not part of the lawsuit, but rather part of the family’s continuing bid to force Ontario’s coroner to include videos of their daughter receiving forced injections of anti-psychotic drugs at an upcoming inquest. CSC internal documents confirm that Smith was considered a "high-risk" inmate whom front-line prison staff had great difficulties handling — and on occasion overstepped their powers while trying to do so. Jailed at age 13 for a crab apple-throwing incident in New Brunswick, Smith was eventually transferred to an adult facility after she kept getting into trouble behind bars by constantly kicking, grabbing and spitting at guards. Doctors diagnosed her as having a serious personality disorder. When prison officials increasingly kept her in solitary confinement, Smith resorted to self-choking, to the point of unconsciousness, in what one doctor determined was a desperate plea for attention. However, some officials criticized the manner in which some guards dealt with Smith. "They did not need to use spray in a pre-emptive manner," wrote CSC manager Adele MacInnis-Meagher in an email in December 2006 after an incident that fall at Nova Institution, in Truro, N.S. Guards had fired pepper spray through the food slot of her cell door as they tried to enter. A psychiatric report at the time notes Ashley’s deteriorating state, as she continued "to smear feces, grab, spit, defy and abuse herself and staff." Things got worse for Smith when she was transferred to the Regional Psychiatric Centre in Saskatoon in December 2006, where she was beaten. "It is evident that the baton strike was inappropriate and could be considered excessive," Johanne Valle, CSC deputy commissioner for women, wrote in April 2007 about an incident the preceding February at RPC Saskatoon in a report contained in the court documents. Then, in March 2007, according to another document, Smith complained to doctors and police that a correctional supervisor, John Tarala, had assaulted her, lifting her up by her hair and then kneeling on her back to restrain her. Other CSC staff accused their supervisor of asking them to cover up the incident, according to the court documents. Tarala was suspended without pay as police and CSC investigated. "Mr. Tarala asked: Do you want my resignation?" states an April 2007 report by RPC executive director Peter Guenther as he recounts a private meeting with the supervisor [now part of the Ontario court record]. "I asked Mr. Tarala if he was offering his resignation because he had done something wrong and he replied that he had been working long hours and probably did some things he should not have done." However, a court later found Tarala not guilty of assault. Tarala has since taken his case to Saskatchewan’s labour relations body and reached a confidential settlement. From court documents, including reviews by CSC national managers, it appears officials at the Regional Psychiatric Centre in Saskatoon were not properly recording or alerting officials of all "use-of-force" incidents involving Smith. An April 2007 review by Suzanne Cuff, acting senior project officer at CSC’s women offender section in Ottawa, detailed numerous cases of "inappropriate" interventions, failures to follow health guidelines, failures to make video recordings during recordings of use-of-force incidents and the inappropriate use of male guards at times when Smith was forced to take off her clothes. After Smith’s death, Lori MacDonald, director general of the women offender section, concluded there had been a series of problems at RPC Prairies, noting guards' "lack of attempts made to engage her in compliant behaviour before using force." MacDonald wrote that during Smith’s four-month stay at RPC there were "38 reportable use-of-force incidents … only two incidents had been reported nationally … as per national policy," suggesting officials in Ottawa were in the dark. With the family’s lawsuit now settled out of court, the inquest set for later this month in Toronto becomes the final chance for public scrutiny into Smith’s tragic descent into self-strangulation behaviour, and whether her October 2007 death was a suicide or an accident. Smith herself appeared optimistic only two months earlier in her August 2007 letter written at Nova Institution not far from her family’s home, as she tried to reach Saskatoon nurse Sindee Tchorzewski. "I just screwed everything up. I wish I was still back at R.P.C. I would do things differently," Smith wrote. "I miss our late night chats. No one does that here. It’s different I guess. No one takes the time to talk." By October 2007, Smith had been transferred two more times and become increasingly despondent. Managers at Grand Valley Institution in Kitchener, Ont., ordered guards not to intervene in her self-choking episodes unless she stopped breathing. The inquest will review many opinions, including one from Dr. Margot Rivera, a psychiatrist called in by CSC after Smith died in her cell from asphyxiation. Rivera concluded the girl’s death was not suicide, but rather an accident born out of a need for stimulation and the trust someone would ultimately enter her isolation cell to save her.